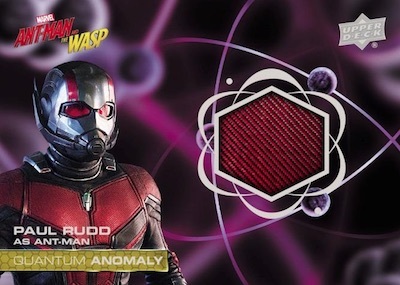 2018 UD Ant-Man and The Wasp - Entertainment Card Checklist	Overall rating:	3	out of 5 based on 1	reviews. 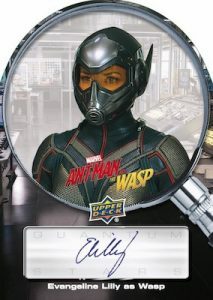 2018 UD Ant-Man and The Wasp is the latest Upper Deck release to feature content form the Marvel Cinematic Universe. 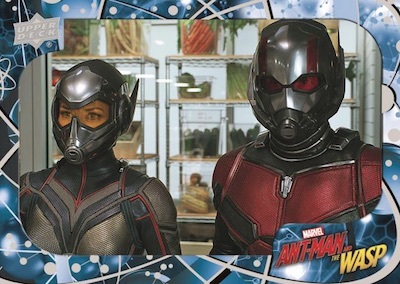 The release focuses the 2018 Marvel movie Ant-Man and The Wasp that stars Paul Rudd as Ant-Man and Evangeline Lilly as The Wasp. 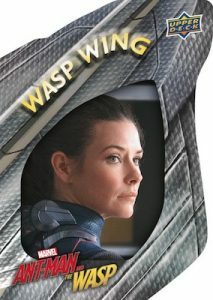 Each hobby box offers 2 memorabilia relic cards, as well as a host of inserts and minis cards. 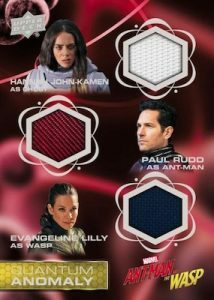 Each 16 box case promises 4 actor autographs and 4 original artist sketches. 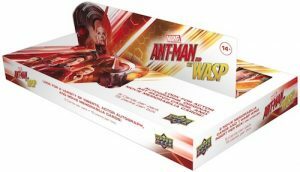 Fans can also probably expect the product to appear on Upper Deck’s ePack platform sometime in the not so distant future.